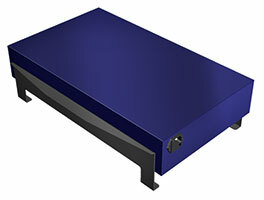 Ultraviolet radiant module for inspection or testing under UV-C light. Freestanding portable module made of steel. Direct connection using electric hose. Possibility of integration and control in chamber TEST-1L2000/SM.